Peter Lundberg – Tudor, Pickering, Holt & Co.
Peter Lundberg serves as an Executive Director in the Investment Banking division of TPH Canada. 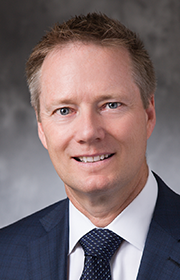 Most recently, Lundberg was COO of a private E&P company in the Deep Basin and prior to that Director of A&D at FirstEnergy Capital Corp. in Calgary. Previously, Lundberg gained diversified E&P experience with several large producers (Amoco, Petro Canada, Northstar, Renaissance) and executive experience with smaller producers (CEC Resources Ltd, Nytis Exploration, Masters Energy). He holds a BSc in Mechanical Engineering from the University of Calgary.